In the wake of the devastating cyclone that hit Burma on 2 May 2008, Burma Campaign UK launched a new video and poster campaign to highlight the ongoing disaster in Burma – the military dictatorship. The animated film ‘The Real Disaster’ was created by Ogilvy Advertising and is narrated by famous comedian Ricky Gervais. It tells the story of a little girl called Khin Mar, who survived Cyclone Nargis but whose village is later destroyed by the military dictatorship. 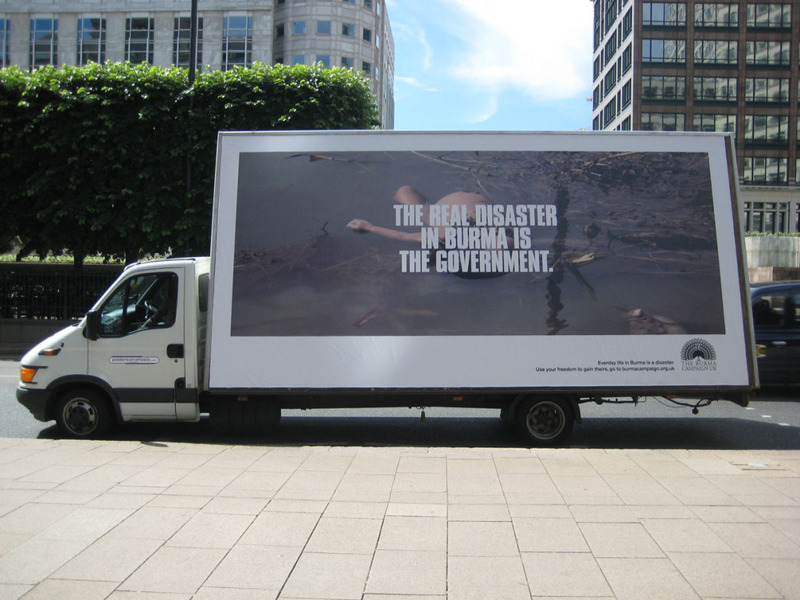 The message is ‘The real disaster in Burma is the government’.